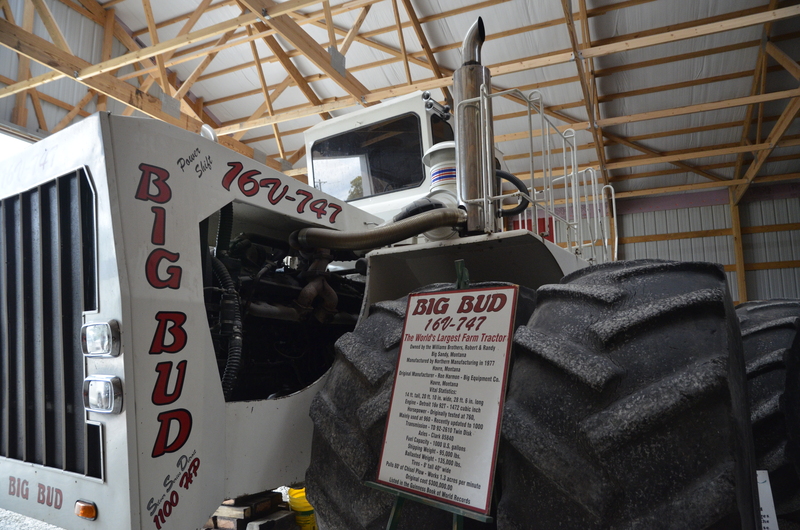 Few tractors have enjoyed as much interest as Big Bud 16V-747. Listed in the Guinness book of records as the world’s largest farm tractor, we’ve been to the Heartland Museum in Clarion, Iowa, to see it. Built by Ron Harmon and Montana-based Northern Manufacturing in 1977, Big Bud 16V-747 was the main attraction at the California Farm Equipment show (Tulare) in February 1978. Powered by a 16-pot 24-litre Detroit Diesel twin-turbocharged 760hp engine, and named after the Boeing 747, the custom-built tractor was made for deep ripping duties on a Californian cotton farm. This is where it remained for 11 years, after which it did a similar job at a farm on the opposite side of the country in Florida. The monster tractor was eventually bought by the Williams brothers (Robert and Randy) at Big Sandy, in Montana, just 60 miles from where it was made. The Detroit Diesel engine currently peaks at 1,100hp. The new owners gave it a fresh coat of paint, added the twin chrome exhaust stacks, and increased the power from 760hp to 900hp. Used on the family farm, the tractor pulled a 24.0m cultivator. Travelling at speeds of up to 13km/hr, it regularly covered 30ha/hr (an acre a minute). The Canadian tyre maker that supplied the boots went bankrupt in 2000, which is cited as one of the reasons why the two brothers stopped using the tractor in 2009. 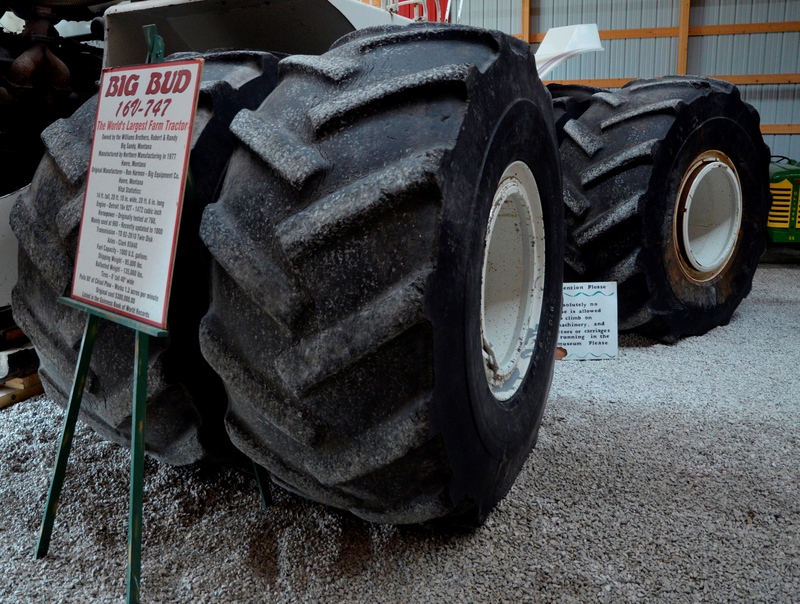 Complete with eight 2.40m-tall x nearly 1.0m-wide specially-made tyres, Big Bud tips the scales at over 60t. The bemouth left the wheat fields of Big Sandy, to tour farm shows and events. The first stop was the Half Century of Progress show in Rantoul, Illinois, where the tractor thrilled a crowd of 60,000 pulling a 15-furrow plough. In 2011, the Williams Brothers fitted the engine with new injectors, which increased the power to the current 1,100hp. 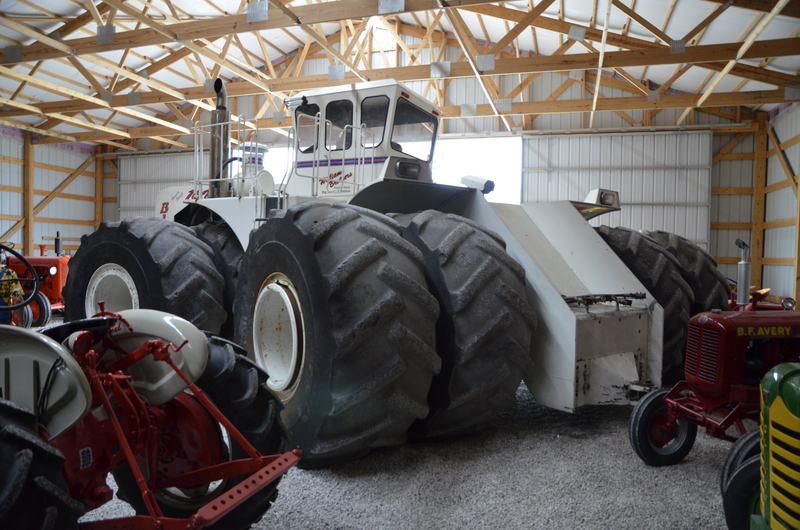 It has not done any field work since, and the world’s most powerful farm tractor has been housed at different museums during the past decade including the Heartland Acres centre, in Independence, Iowa. The tractors’ current home is the Heartland Museum (no connection), in Clarion, Iowa, where it has been on loan for the past six years. It is not known how many Big Buds survive today, but this is the only 747 ever built. Standing 4.30m-high x 6.0m-wide x nearly 9.0m long, a new building, known as the ‘big red shed’, had to be built to accommodate it. Two of the massive wheels have already been removed from the monster tractor. The 747 has a shipping weight of over 43 tonnes. This increases by 16.0t when fitted with its eight 2.40m-tall x nearly 1.0m-wide tyres. Add another 4.0t when the two fuel tanks (1,000-gallons/3,785-litres) are filled and Big Bud tips the scales at over 60t! When new, the tyre lugs had a heigth of 20cm. Over the years, this has worn down to below 5.0cm and all the footwear needs replacing. We arrived to find that two of the front tyres had been sent away for inspection. 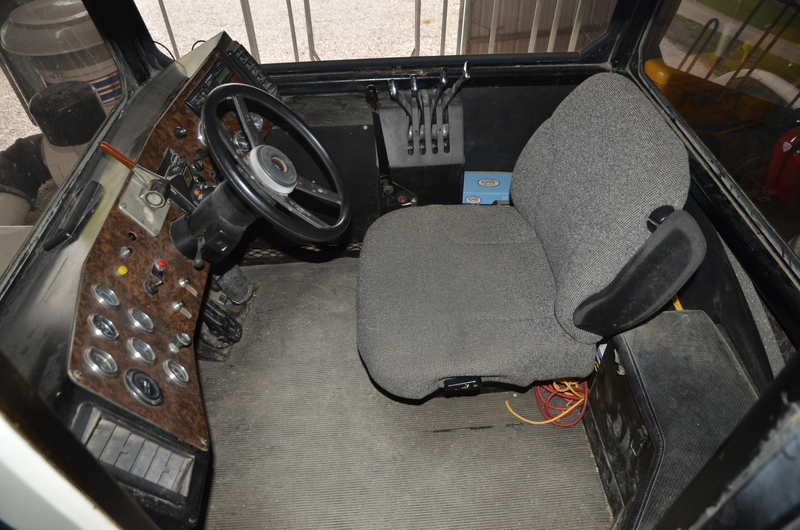 Spartan but functional are two best words to describe Big Bud’s cab. We understand that all eight tyres are beyond repair. The good news is that a well-known tyre maker has expressed an interest in re-booting the 747 as part of a marketing exercise. 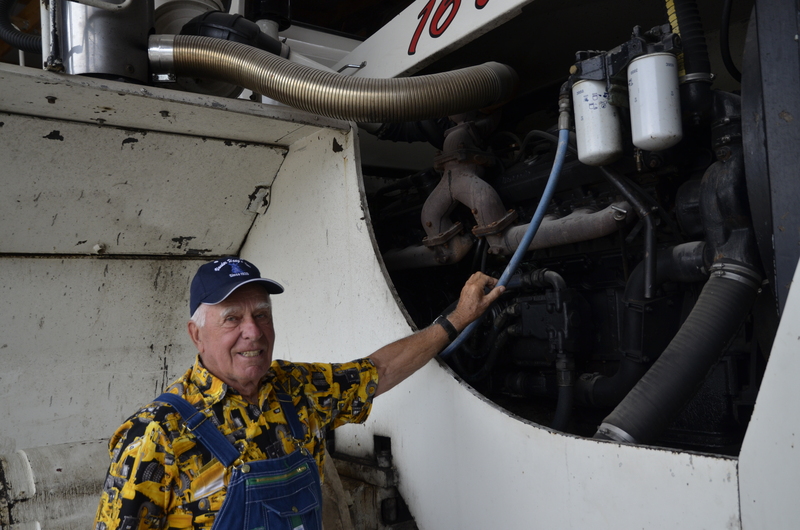 Everything about Big Bud is large, including the engine fuel line, which is pictured here with Larry Maasdam. We were not alone in travelling to Clarion. 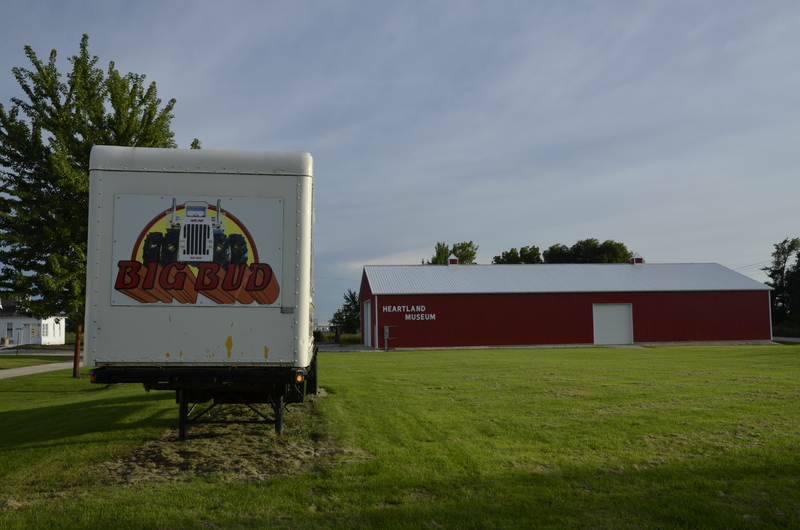 During the busy summer holiday season, the museum welcomes 600-1,000 visitors, and so far, Big Bud has been seen by thousands of people from 22 European countries. 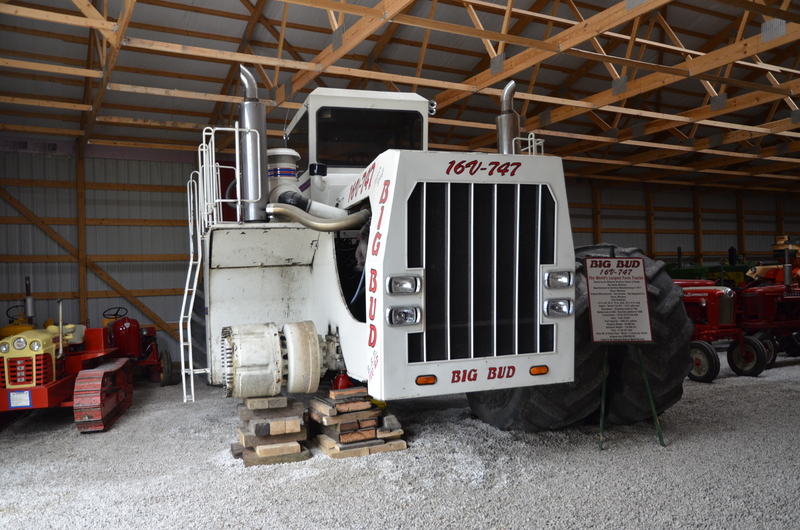 Big Bud 747 is on loan to the Heartland Museum from the Williams brothers. When new, Big Bud 747 cost around US$300,000. Today, we understand it could be worth anything from three to six times this figure. Let’s hope Big Bud is re-booted, and even better out in the fields again for a spell at some point. It would almost be worth going back to see the beast from Montana in action! The old red farm shed was built specially to house the giant tractor. Larry has no idea how long the 747 will remain at the Heartland Museum. 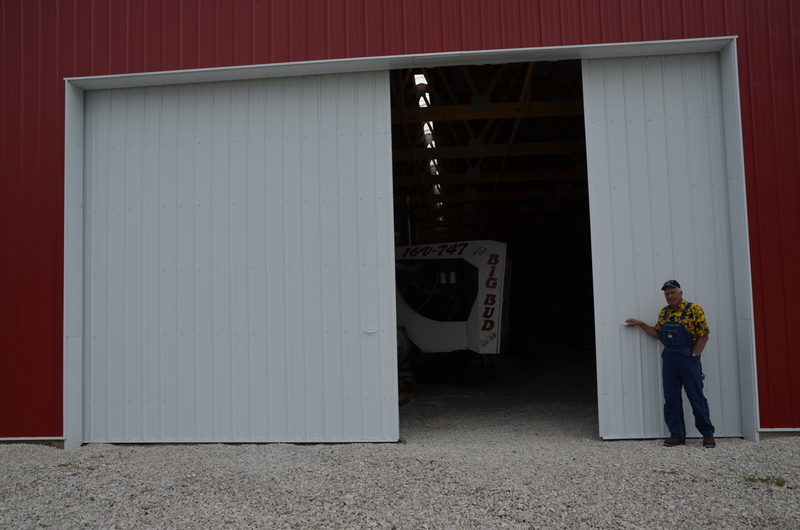 The admission fee of US$12 includes a guided tour of the big red shed and the chance to see many other restored tractors. 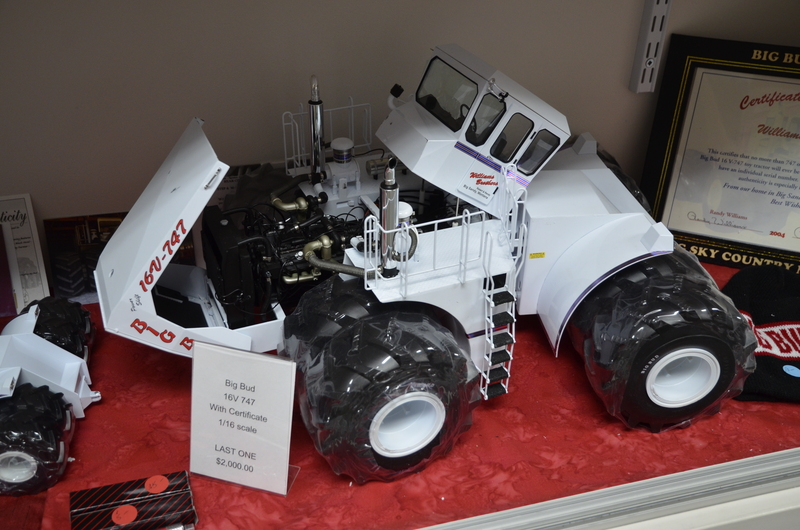 The museum also has a shop, and if you are keen to take home a Big Bud 747 momentum then you might be interested in what we believe is the last 1:16 scale model (with certificate). It costs a cool US$2,000.